Heard it all before? Well, it’s true and you can find out the hard way by skipping it or having a crappy breakfast meal, which will cause lack of energy, crashes, slower metabolism during the day as well as weight gain and the decline of health over time. You think there’s a correlation between the fact that 4 out of 1 Americans skip breakfast and 31% of the people that do eat it, choose cereal as their main option (there were even worse foods on the list but the cereal was prevalent) and the fact that almost 70% of American are overweight or obese? And please don’t ask why cereal isn’t a part of a healthy breakfast (hint: look at the nutritional content). The reason I have brought this topic up is because I regularly get asked what are some options for a good breakfast in the morning before our a.m. Renton Boot Camp, when should they eat it etc. If you have trouble eating a real meal early in the morning before training then look to a meal replacement shake as it will give you the protein to boost the metabolism as well as a bunch of fiber. 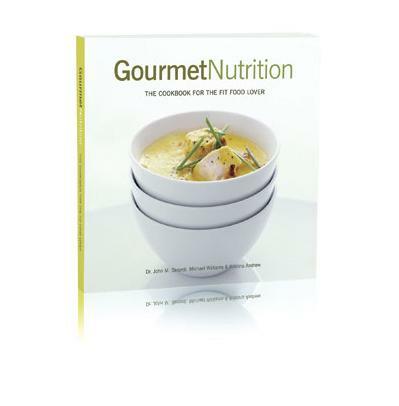 To get more delicious breakfast ideas check out the Gourmet Nutrition cook book, which is my number one weapon for creating delicious, healthy and fast meals. Dr. John Berardi and his team really created a cookbook for the fit food lover!